AKRON, Ohio — The Goodyear Tire & Rubber Company (NASDAQ: GT) today reported results for the fourth quarter and full-year of 2018. Highlights included that fourth quarter revenues increased by 1 percent per tire (excluding foreign exchange), and that price/mix momentum turned positive. “Our teams delivered several operational wins in 2018, including increasing our consumer replacement volume and building our OE pipeline by securing numerous fitments, notably on future electric vehicles,” said Richard J. Kramer, chairman, chief executive officer and president. “These achievements are a testament to our product innovation, the strength of our distribution network and the value of the Goodyear brand,” he commented. 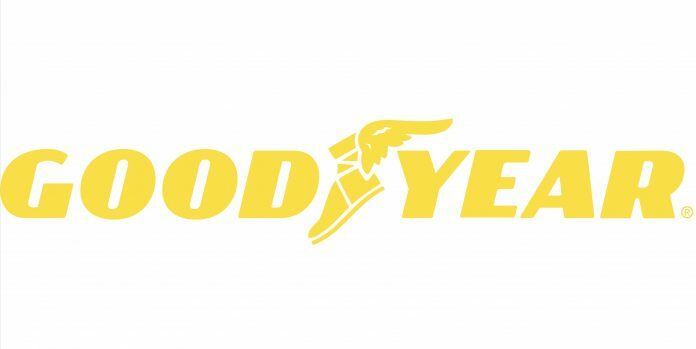 Goodyear’s 2018 net income of $693 million ($2.89 per share) was up from $346 million ($1.37 per share) in 2017. Goodyear’s net income in 2018 included a net gain after-tax and minority interest of $207 million resulting from the TireHub transaction, net of transaction costs. Goodyear’s net income in 2017 included net charges after minority interest of $292 million resulting from net discrete tax items. Full-year 2018 adjusted net income was $555 million ($2.32 per share), down from $790 million ($3.12 per share) a year ago. 18 percent from $1.6 billion a year ago. The decrease was primarily attributable to increased raw material costs, weaker results from other tire-related businesses and unfavorable foreign currency translation, which were partially offset by net cost savings and improved overhead absorption. Americas’ fourth quarter 2018 sales decreased 3 percent from last year to $2.1 billion. Sales reflect the negative effect of foreign currency translation and lower volume, partially offset by improved price/mix. Replacement tire shipments were down 2 percent, driven by a decrease of 14 percent in commercial replacement. U.S. consumer replacement volume was flat reflecting a tough comparison of an 8 percent increase in the prior year. Original equipment unit volume was down 4 percent. Fourth quarter 2018 segment operating income of $179 million was down 18 percent from the prior year. The decrease reflects higher raw material costs, increased product liability costs, reduced earnings from third-party chemical sales, the unfavorable effect of foreign currency translation and reduced volume, partially offset by a favorable indirect tax settlement in Brazil and improved overhead absorption. Europe, Middle East and Africa’s fourth quarter 2018 sales of $1.2 billion were down 4 percent from the prior year, driven by unfavorable foreign currency translation, partially offset by price/mix improvements. Replacement tire shipments were up 1 percent. OE tire volume decreased 5 percent. Fourth quarter 2018 segment operating income of $74 million was 23 percent less than the prior year. The decrease was driven by increased raw material costs, weaker results from other tire-related businesses and the negative effect of foreign currency translation. These declines were partially offset by improved price/mix. Asia Pacific’s fourth quarter 2018 sales decreased 11 percent from last year to $552 million, reflecting weaker volume and unfavorable foreign currency translation. Tire unit volumes were down 10 percent from last year’s record fourth quarter. Replacement tire shipments were down 2 percent. Original equipment unit volume was down 22 percent, reflecting weak vehicle production in China. Fourth quarter 2018 segment operating income of $54 million was down 54 percent from last year’s record quarter, reflecting lower volume, higher raw material costs and unfavorable foreign currency translation. The company paid a quarterly dividend of 16 cents per share of common stock on Dec. 3, 2018. The Board of Directors has declared a quarterly dividend of 16 cents per share payable March 1, 2019, to shareholders of record on Feb. 1, 2019. The payout represents an annual rate of 64 cents per share. As a part of its previously announced $2.1 billion share repurchase program, the company repurchased 897 thousand shares of its common stock for $20 million during the fourth quarter. For the full year, the company repurchased 8.9 million shares for $220 million. Since 2013, purchases under the program total 52.9 million shares for $1.5 billion. We do not expect to make a significant amount of share repurchases in 2019. Participating in the conference call will be Richard J. Kramer, chairman, chief executive officer and president; and Darren R. Wells, executive vice president and chief financial officer. Investors, members of the media and other interested persons can access the conference call on the website or via telephone by calling either 800-895-3361 or 785-424-1062 before 8:55 a.m. and providing the conference ID “Goodyear.” A taped replay will be available by calling 800-839-4014 or 402-220-2983. The replay will also remain available on the website.